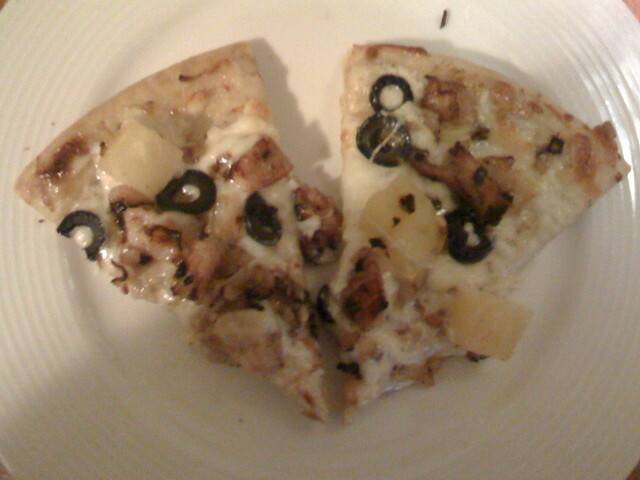 Tonight I made a delicious pizza for dinner. I’ve made this several times before, but tonight I paid special attention to how much of what ingredients I use so I can share this recipe with you. Put pizza crust on pan. Saute frying pan contents until golden brown on medium-low heat, about 10mins. Serves 5. Weight Watchers POINTS® Value: 7 points per slice.